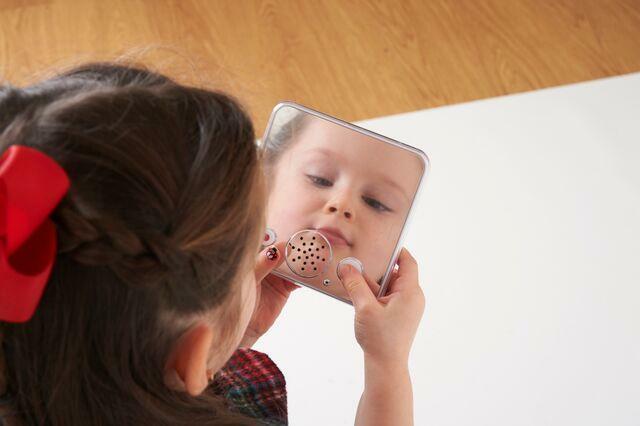 With simple record and play buttons, this mirror provides kids with the opportunity to record up to 30 seconds of sound and play it back with ease. On the back, there is the option to select one of three sound levels for use in different classroom environments and a recording lock button to protect important recorded information from being over-written. Comes with a wall slot and is equipped with magnets for mounting. Front cover is removable to allow pictures to be placed behind the cover. Cover is also dry erasable.